Premium 18 gauge stainless steel top mount vanity basin. 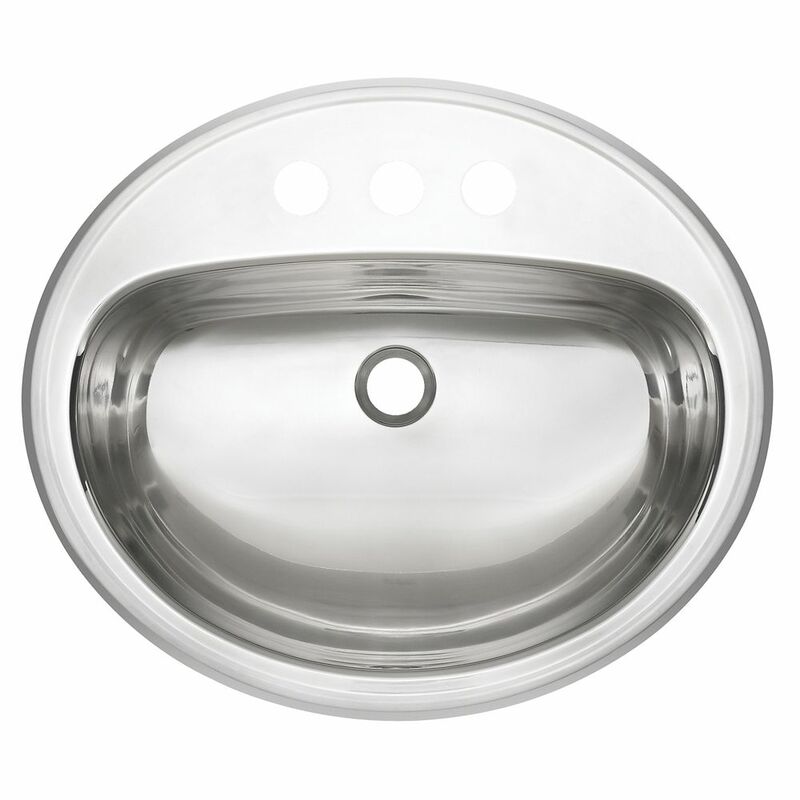 Sink features large oval shape, rear drain for more storage below, front overflow, rear faucet ledge with 3 hole drilling, silk deck and bowl for bright and shiny good looks without sacrificing on ease of cleaning, and 1.25" waste hole. Waste fitting is not included. The wide open planes of Traverse offer a multifunctional wet work surface, with slightly sloping sides directing water toward the drain. The broad back rim offers ample space for grooming items, and one-piece construction ensures this sink is easy to clean. 18 Ga drop-in basin - 18" X 21" X 7", 3 hole Premium 18 gauge stainless steel top mount vanity basin. Sink features large oval shape, rear drain for more storage below, front overflow, rear faucet ledge with 3 hole drilling, silk deck and bowl for bright and shiny good looks without sacrificing on ease of cleaning, and 1.25" waste hole. Waste fitting is not included.